All damselflies are predatory and they eat other insects. Damselflies and dragonflies both belong to the insect order Odonata. 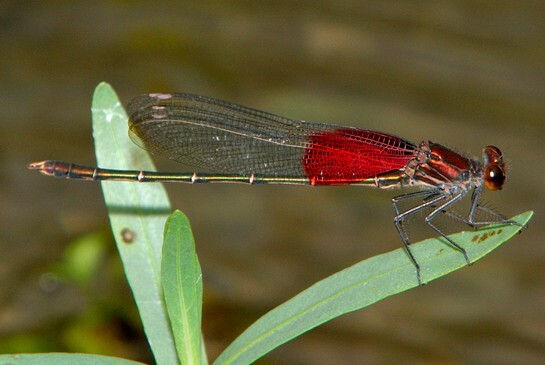 More than 78 species of damselflies have been found in Texas. Damselflies have three body regions: a head, a thorax to which their four wings and six legs are attached and an abdomen. All damselflies are predatory and they eat other insects. They are found on every continent except Antarctica. Knowing the characteristics of damselflies and dragonflies will help in identifying the insect. A damselfly eyes are large and clearly separated, usually protruding to each side of the head, in a “barbell” shape. The body of a damselfly is usually long and slender and its forewings and hindwings are similar in size and shape and are membranous in appearance. A damselfly will hold its wings together in a closed position, usually above the abdomen when they are at rest. In many species of damselflies the males are often more brightly-colored than the females. In short, the easiest way to tell whether the odonate you are looking at is a dragonfly or damselfly is to look at how it holds its wing while resting. If they are lying flat, parallel to the ground, you are looking at a dragonfly. If the wings are pressed together, held over the insects back, you are looking at a damselfly. Dragonflies are almost always flying and damselflies are almost always perching. When searching for dragonflies and damselflies, look for as many different aquatic habitats as possible. Their presence on a body of water indicates that it is relatively unpolluted. However, their dependence on fresh, unpolluted water makes them vulnerable to the decline of wetlands. 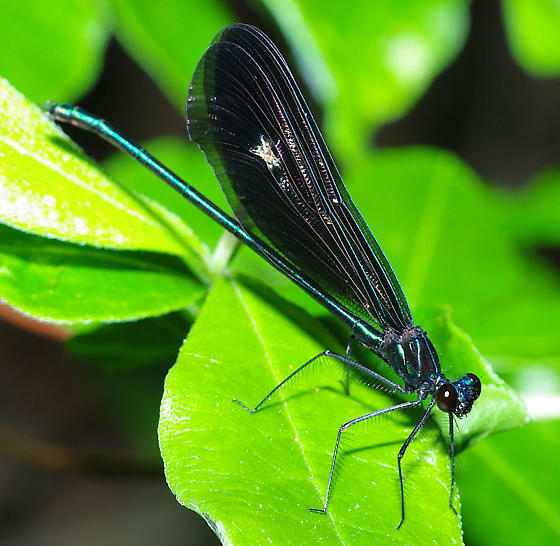 Visit this link for more information on damselflies. BELOW ARE SOME OF THE DAMSELFLIES THAT CAN BE SEEN AT WEST 11TH STREET PARK DURING THE YEAR. CLICK ON EACH TO LEARN MORE.